Most of us love nothing more than enjoying our garden over the summer months, however after the winter months our patios can be left looking a little worse for wear. It is inevitable that over a period of time, build ups of moss, dirt, mould and algae can have an effect on our patios, leaving them at times slippery and dangerous to walk on. If required we are able to use the right chemicals, to remove any stains that may have built up over time. Any use of chemicals would be fully discussed with you first. 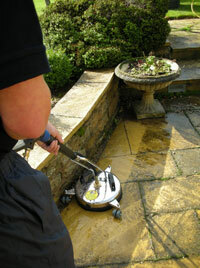 Specialist chemicals are used to avoid any damage being caused to your patio or pathway. 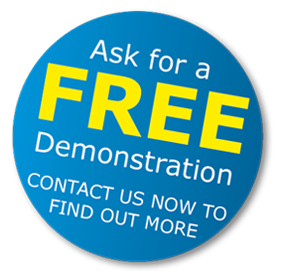 Call, or email us today and we can arrange for a free no obligation quote. We will visit your property, at a date and time that suits you to measure the area for cleaning. Our prices are not estimated, we will give you an accurate price worked out on per m2. The quote we give will be valid for three months from the date issued.